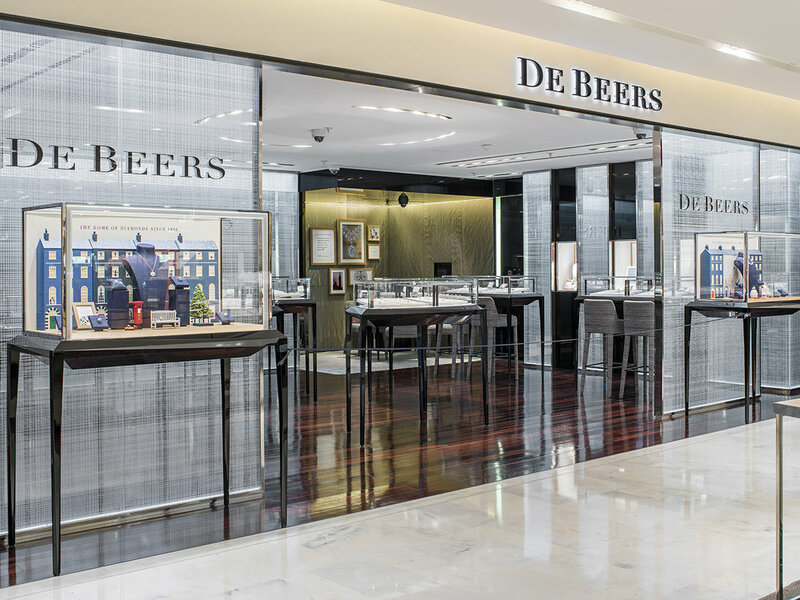 Luxury brand, De Beers Diamond Jewellers asked HWVisual to design their global holiday window scheme for 2017. 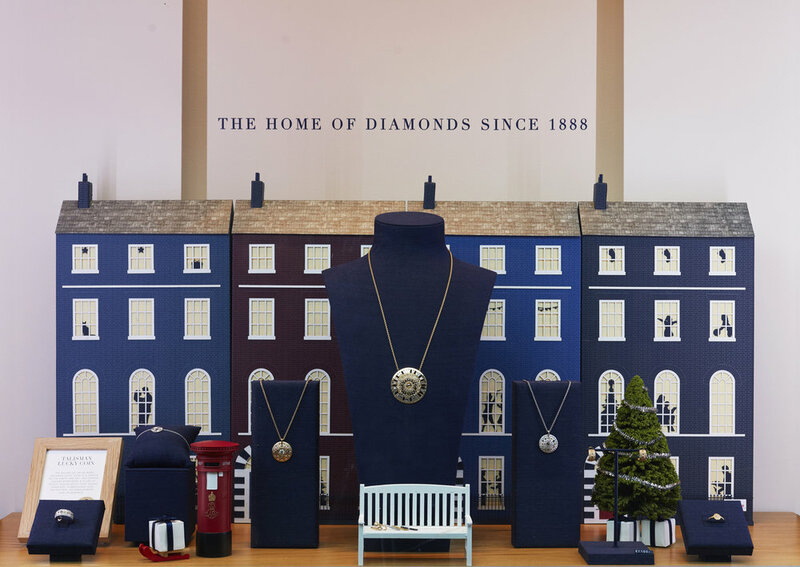 The concept needed to portray the joy of spending time at home with family and friends, and at the same time highlight the festive spirit of London at Christmas. 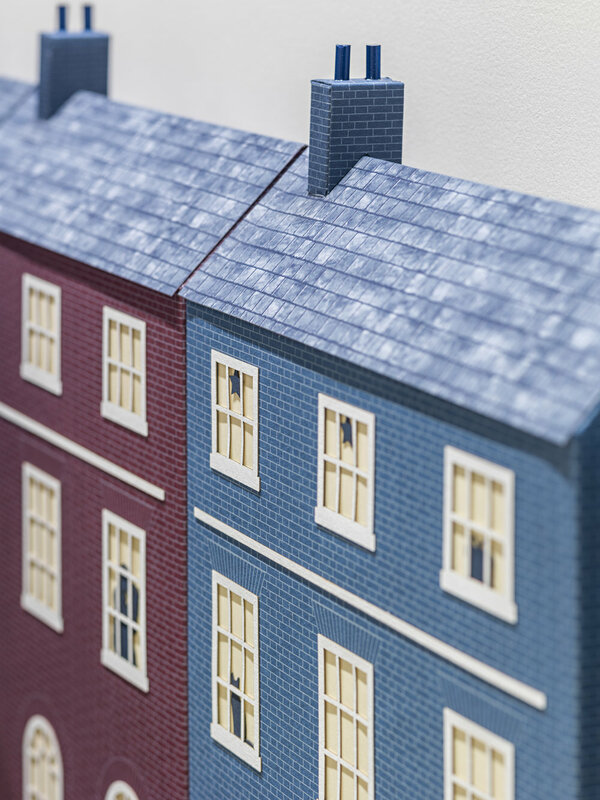 The houses are created entirely out of paper, which is layered, laser cut, screen printed and delicately assembled to create scale replicas of real London homes. Particular attention is paid to the little details that make the buildings unmistakably British, including the different coloured front doors and the brickwork patterns and colours on each facade. Each home features different occupants as silhouettes in the windows, some celebrating with friends, others gathering for a family reunion or to decorate the Christmas tree together. 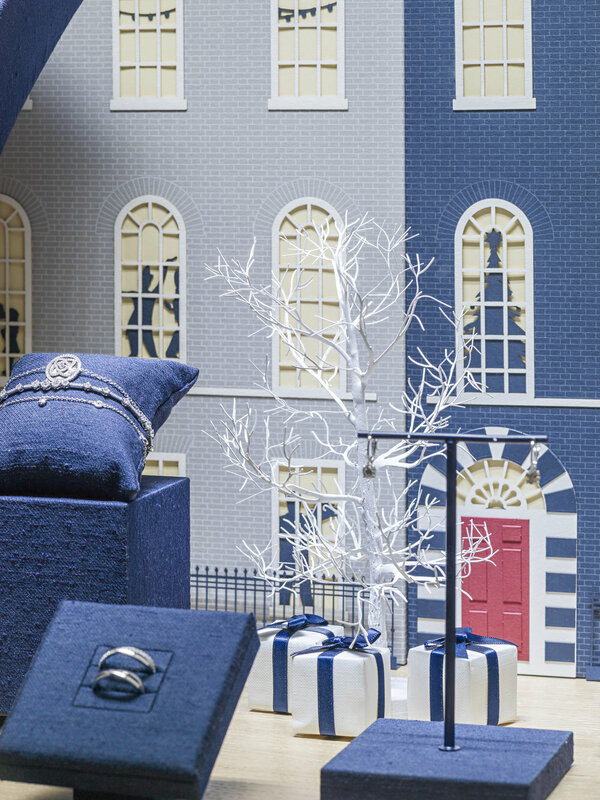 Whilst everyone is cosy and warm at home, Christmas continues in the street outside, with a variety of three dimensional props which complete the magical wintery scene and are used as product supports for the precious jewellery. Along with creating the concept, design and technical files, HWVisual project managed the production and distribution of this global window scheme for 90 windows worldwide.